Used Saddles For Sale & Saddle Consignment @ Lane Cove Dressage Quality used dressage, jumping, and all-purpose saddles for sale. Albion, County, Toulouse, Passier, Thornhill, etc. Reasonable prices. Photo albums and updated sales list are available on our Facebook page . For non-facebook users, our sales list is also available on our website here: or give Ashley a call at (607) 743-1309. 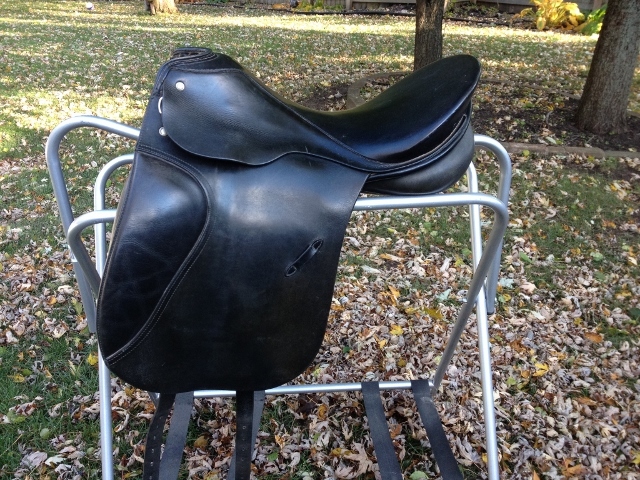 Saddle Consignment: Do you have a saddle that you need help selling? At Lane Cove Dressage our Facebook page has a very large reach, with over 1,200 followers. We advertise saddles on Facebook, Craigslist, through email blasts (our list has over 500 people on it), on our website, and also through personal connection. Contact Ashley at (607) 743-1309 for more information. 1992 five star w/ dressing room $ 5500. Call 585 766 7442. 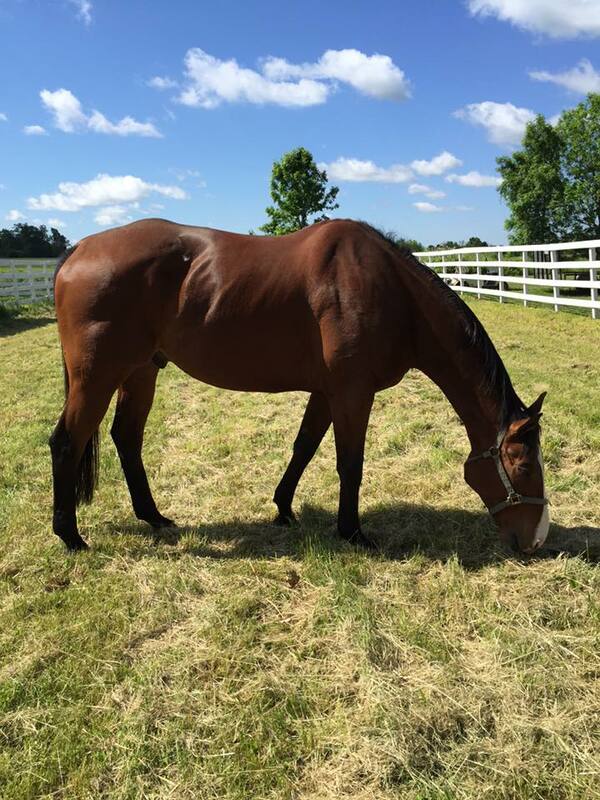 Gelding: Han/TB 17'2 HH, 12YRS old. Has been ridden dressage. Need to sell as l don't have time to ride him. He is a big teddy bear & loves attention. Great w/farrier,vet,trimming, cross ties. Looking for someone thats looking for a best friend. Asking $8000. OBO. Can be reached at 585 766 7442. Serious & experienced riders please. Click here for a picture. GF Zanita is a triple registered filly born May 28th, 2015. She is by the well known Andalusian stallion Deco X and out of the Spanish Norman mare Katarina Rosa by Saphiro (a cremello lusitano). Link to sire, Deco X: http://www.elsilenciofarm.com/Deco_X.html. Link to Dam's sire, Saphiro: http://www.jcandalusians.com/stallions/saphiro/. GF Zanita will turn grey, but if you're looking for color she carries the chestnut gene and will be able add color with the right pairing. She is triple registered as a Spanish Norman, Iberian Warmblood, and as a 1/2 Andalusian with IAHLA. She is well-handled, walks on the lead around the farm, has no problem with farrier or the vet, and is in general a very affectionate and intelligent filly. This filly has exceptional temperament and is an adult amateur/re-rider's dream. Asking $5500, must sell. Video available on our facebook page for Lane Cove Dressage under the "videos" tab: https://www.facebook.com/LaneCoveDressage/. For more information please call 607-743-1309 or visit our website at www.lanecovedressage.com. HORSE CARE: Mendon. $625. Indoor, outdoor arenas, trails, professional care. Training and Instruction. Park Place Farms, 354 Bulls Sawmill Road, Honeoye Falls, NY 14472 (585)624-9940. Looking for a working student: Newly renovated one bedroom apartment available for working student at dressage facility in East Aurora NY. Call Carol Heckman for details 716 725 3639. Barns for lease: two barns available for lease at Fox Run Equestrian in East Aurora NY. 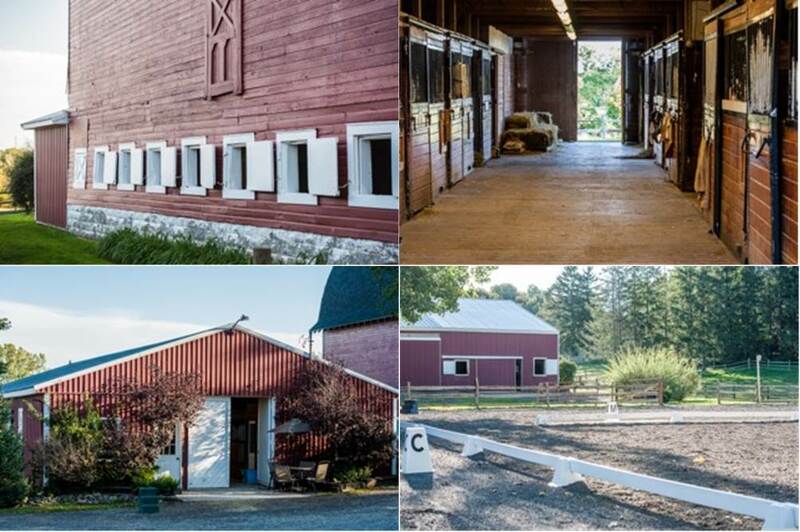 Each barn with tack room, feed room, wash stall, windows, turnout, trails, large indoor and outdoor arenas. This is a beautiful historic horse farm rich in history and tradition. The barns (11 and 8 stalls each) are ideal for a trainer who wants independence but not ownership. Full dressage ring and jumping area. Visit www.foxrundressage.com or click here for a picture . Call Carol Heckman 716 725 3639. Susan Barisone-Gilson, Dressage Horizons LLC- a beautiful European style dressage stable located in Webster NY- 15 minutes from downtown Rochester. Susan is a USDF Bronze, Silver, and Gold medalist, experienced Grand Prix dressage trainer and accepts serious dressage students at any level. www.sbgdressage.com or Email at susanbgil@gmail.com or cell (585)750-4703. 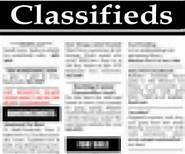 Ads are posted for free for WNYDA members.